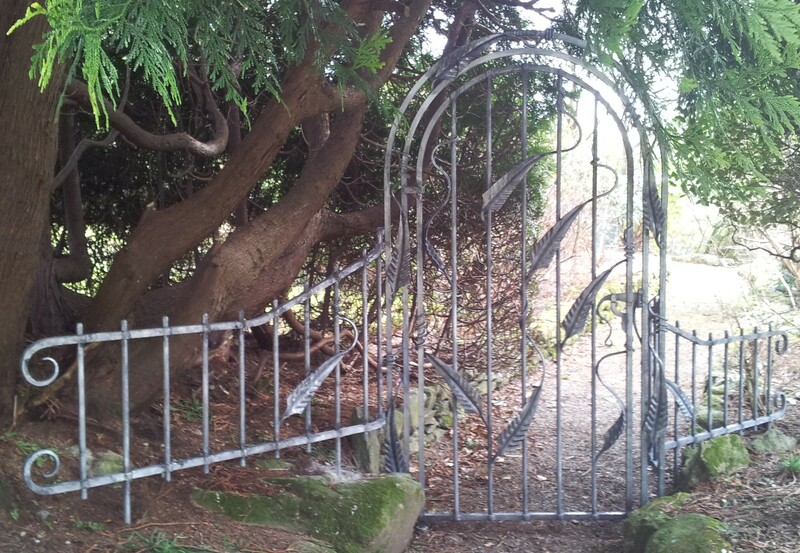 Regarding this subject, we are only limited by our imagination! 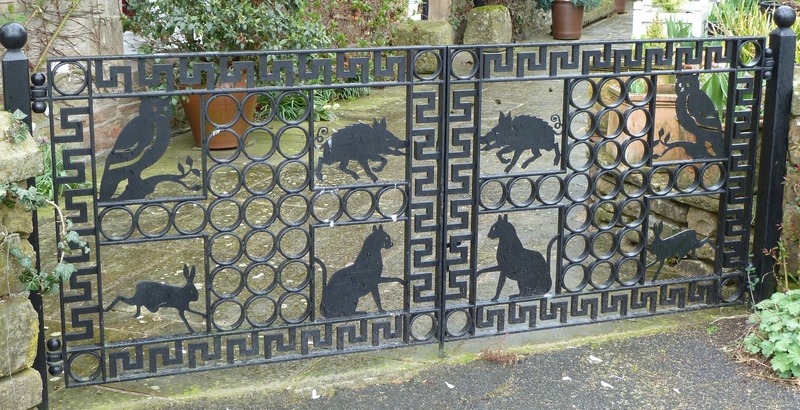 almost anything can be depicted or represented in metal. Though the majority of our work is in making period pieces that are in keeping with there surroundings/themes/era's. 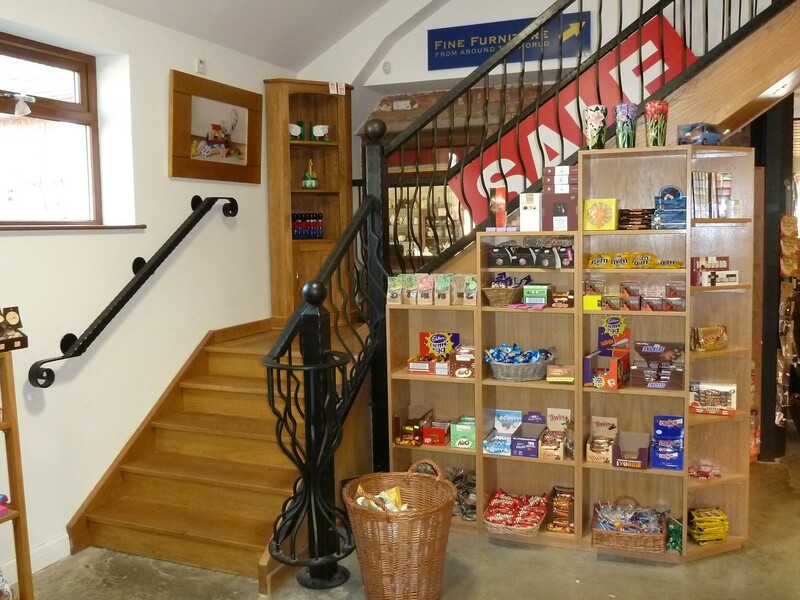 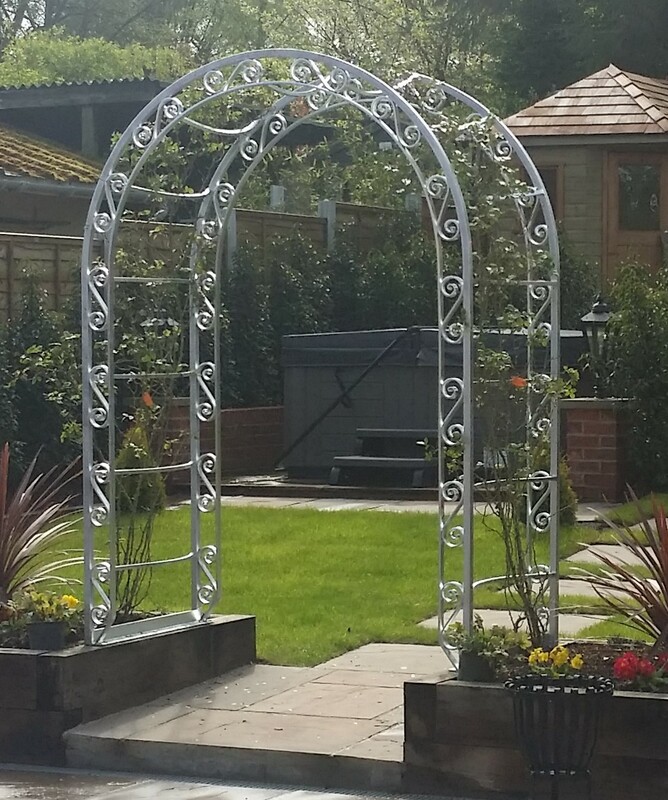 We have also had the privilege of combining both contemporary and traditional designs to produce some stunning work. 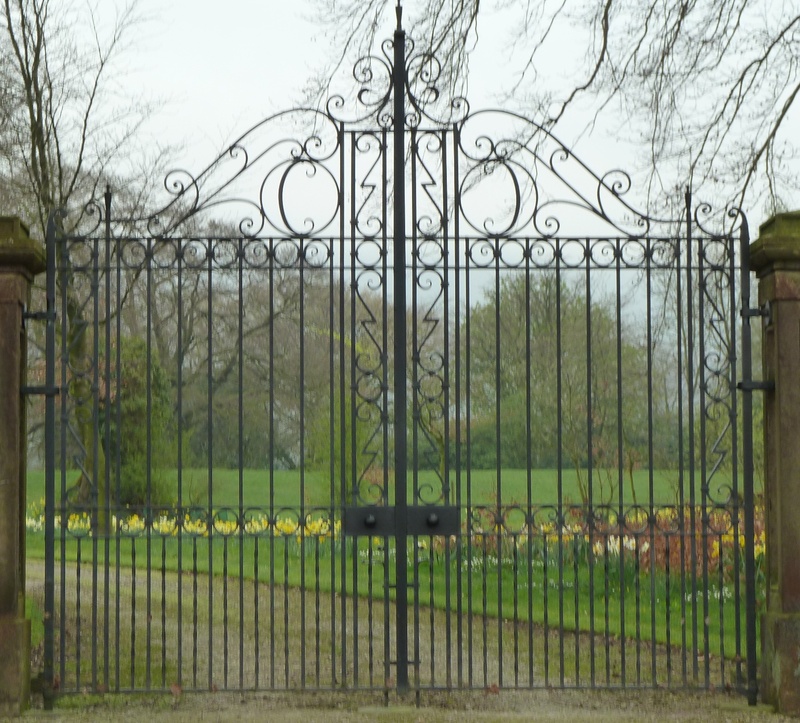 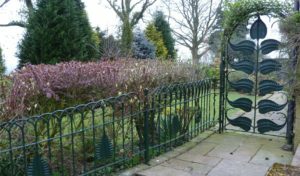 Double & Single arched gates with railings, the leaves are forged from 6mm plate. The design was specified by their owner in the Ribble Valley. 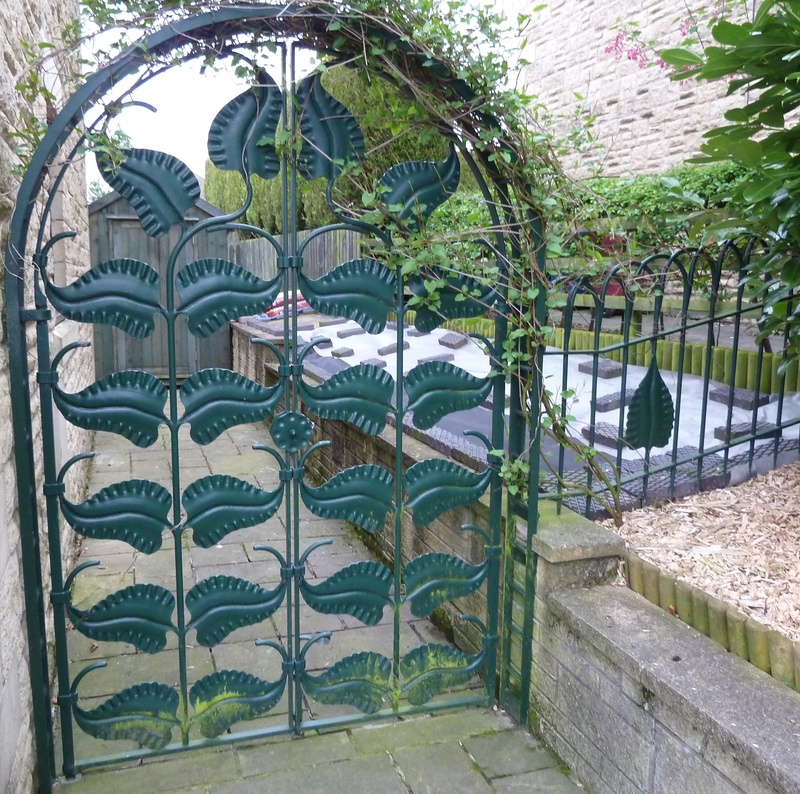 These are two setts of double gates. 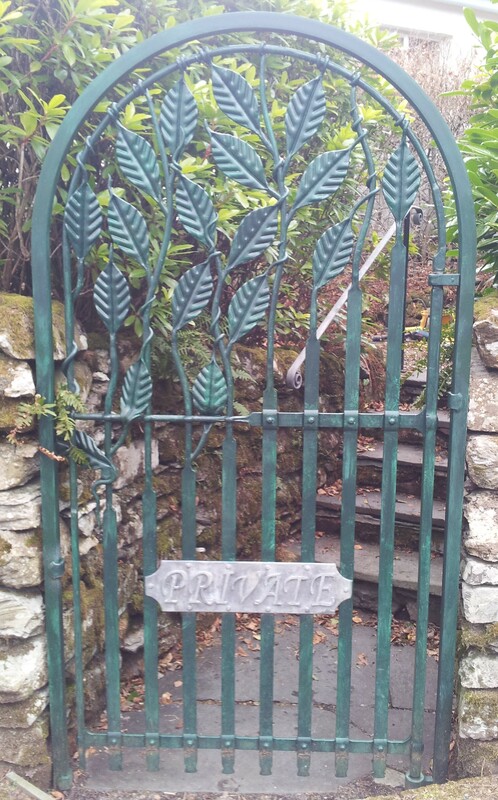 I am told the theme comes from a Roman legion that used to be in the area, including their emblem and other representations of their beliefs. 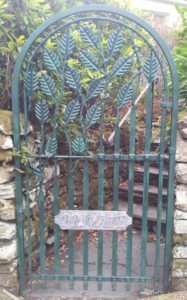 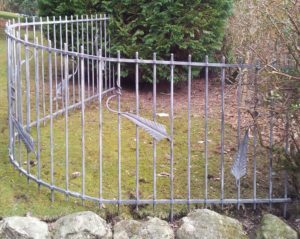 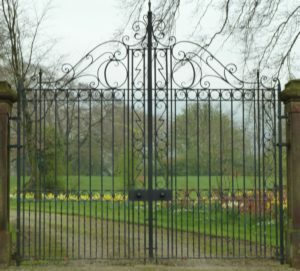 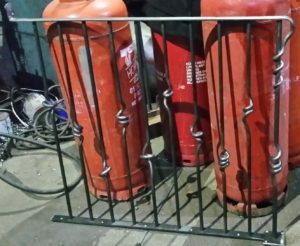 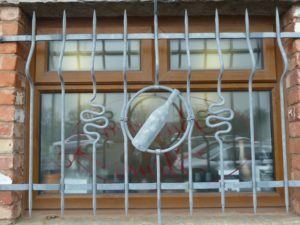 These gates are hand forged to a traditional design, replacing the originals that unfortunately went missing one night. 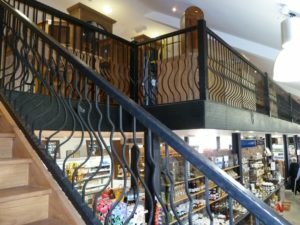 These are some plain stair railings leading to an elevated retail floor that has identical railings running along both sides. 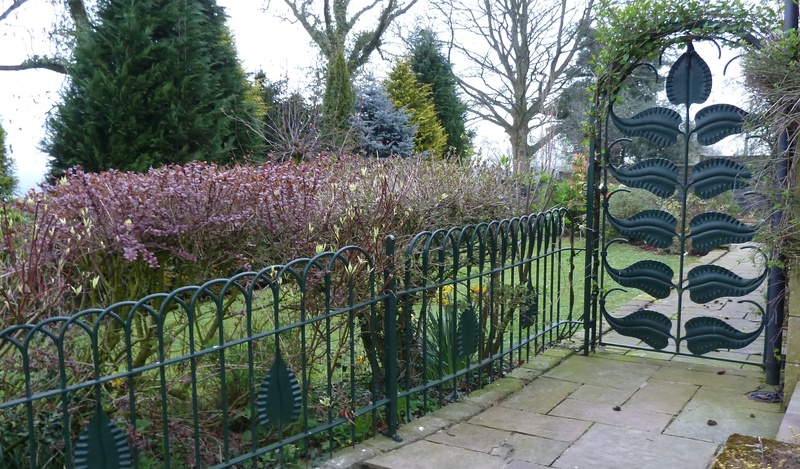 One side of a semi circular entrance. 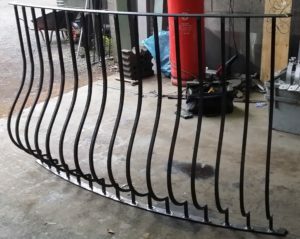 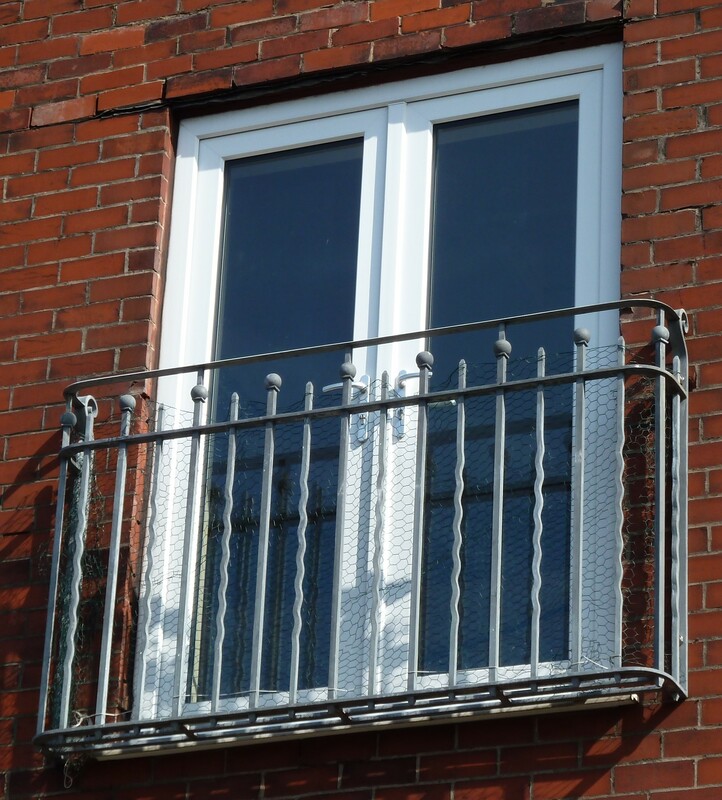 All hand forged, if you click on the image to see a larger picture, you may see that the top and bottom rails are all swelled out to accommodate the verticals. 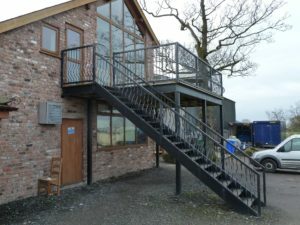 Plain elevated platform and stair/fire escape. Retail outlet. 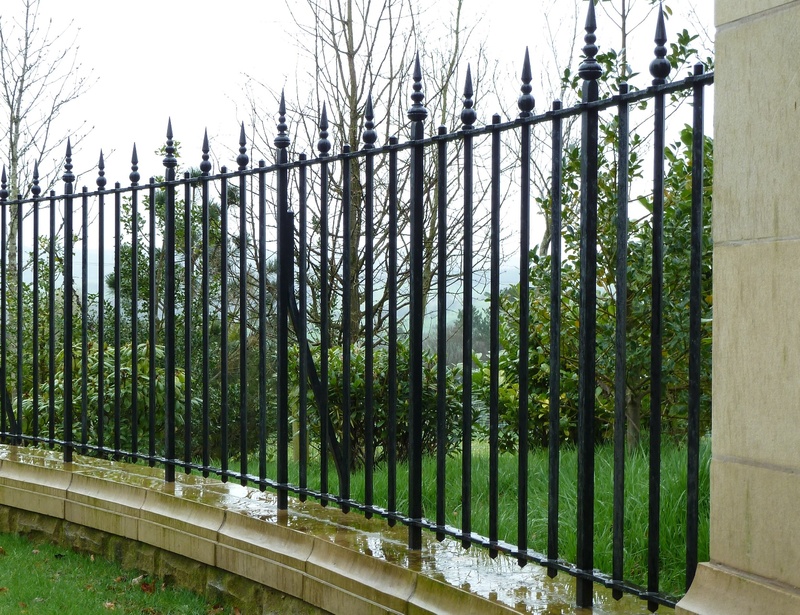 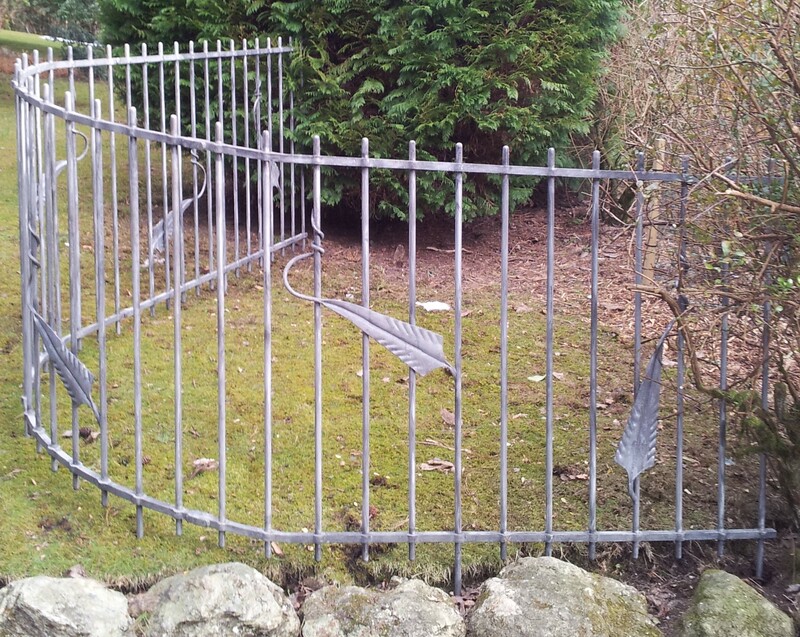 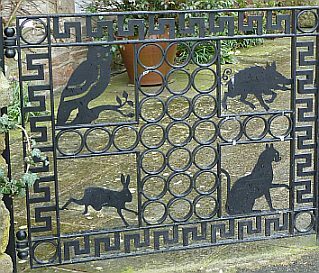 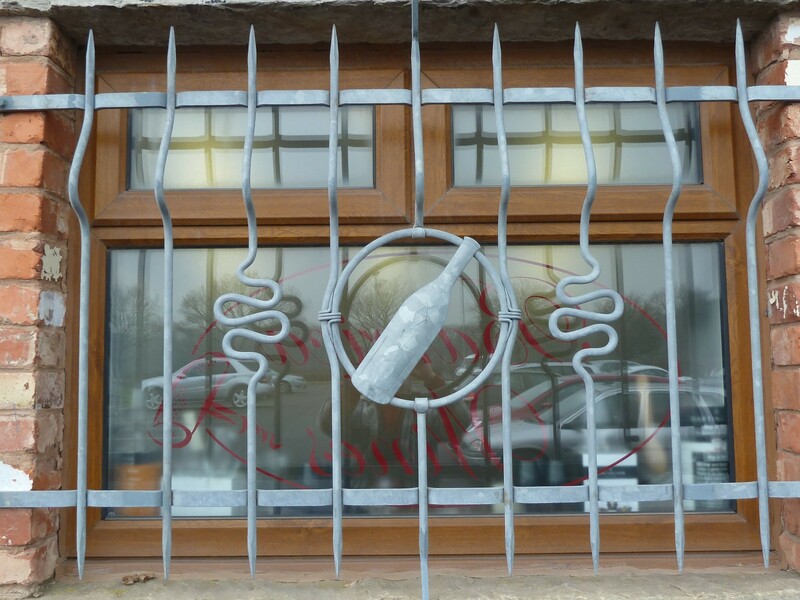 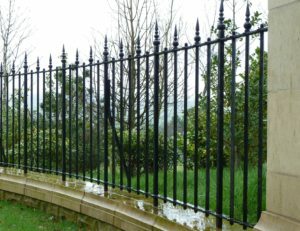 These contemporary gates and railings are all hand forged, punched and riveted, using traditional methods. 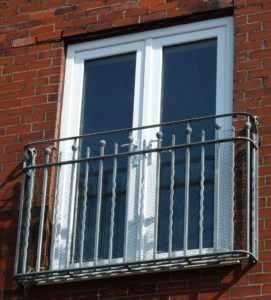 These are knotted stair panels, the first for the landing, and the second to fill the gap between the stair case and ceiling on the ground floor. 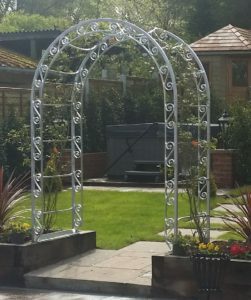 Rose arch, with forged scrolls. 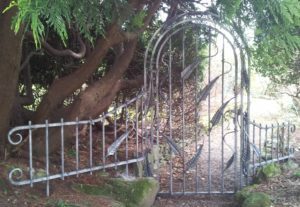 Traditional field gate, incorporating access hole for the sheep dog.